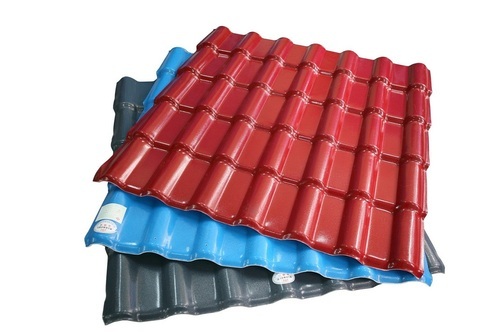 With Years of Experience in the industry, we are engaged in offering our clients with a superior quality range of products that comprises Industrial Fasteners(corroshield),roof ventilator with bottom base (Polycarbonate base plate, Frb,Aluminium base plate), Polycarbonate matching profile ,multiwall , Silicon Sealant, Roof Products-colour coated metal sheet , frb profile sheet,polycarbonate profile sheet ,decking sheet,Aluminium profile sheet , Gi purlin , MS purlin and CR purlin , Silicon Sealant and Bytual Taps, Insulation material (Polinum )Screw PVC Cap , Hill side washer , Bonded washer , Cyclone washer , Louvers-Metal louver , Aluminium Louver,and Polycarbonate sheet louver . Our range is known for the features like corrosion resistance, superior quality, dimensional accuracy, ability to withstand extreme weather conditions and longer working life. With an integrated manufacturing unit and strong support of our clients, we are able to offer a range that not only meets the expectations of our clients but exceeds it. Further, we are blessed with a diligent workforce that supports us in conducting our business practices in an apt manner. Owing to our client-oriented approach and ethical business practices, we have been able to garner credible business relationships with Kirby, Tata Bluescope, Pennar, and Intrach, l&t, lmw, pricot, pricol, Our range of products find wide appreciation on the countries like Srilanka, Singapore, Malaysia, Japan and Australia. We are looking for queries from Coimbatore , erode, salem, madurai, trichy, kumabkonam.thanjavur, mannargudi, thiruvar, south india, narth india and all over india.